/ Have I changed My Mind On The Sinclair Method And Naltrexone? The Sinclair Method And Naltrexone… have I REALLY changed my mind? I have always been a very vocal critic of the whole taking a drug to fix a drug problem. Recently some people have been asking me if I have changed my mind somewhat. The answer is yes and no! I tried taking medication to fix my problem drinking and it didn’t work. I tried Antabuse and it nearly killed me, I tried The Sinclair Method and I found the side effects horrendous. As with everything else I write about, my view on this is based purely on my own experience. I can’t recommend taking drugs to fix your drinking problem because that approach didn’t work for me. However, because I refuse to endorse solutions like the Sinclair Method I get a lot of abuse and hate from fans of the medication. They are often as aggressive as the people who insist that AA is the only acceptable solution. 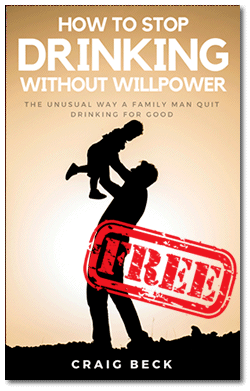 They proudly declare Naltrexone to be the new savior of the alcoholic – just because it worked for them. The “Sinclair Method” is not a fresh idea and the majority of the analysis pertaining to it was carried out in the 1980s. It is named for the scientist who initially created it and helped it obtain notability initially in Europe. The basis of it is quite straightforward, which explains its allure. Basically, the technique entails taking a medicine, Naltrexone, to be precise, just before consuming alcohol, each and every time you drink alcohol. Naltrexone is an opioid opposer and is most prominently used to obstruct the activity of man-made opioids like heroin, morphine, oxycodone, etc. within the system so that if an individual consumes both compounds the opioid is rendered nonfunctional as far as analgesia and exhilaration. Essentially, and in theory, a man or woman who consumes alcohol while on the medicine will not experience the same chemically-fulfilling experience an individual who consumes alcohol without it will. 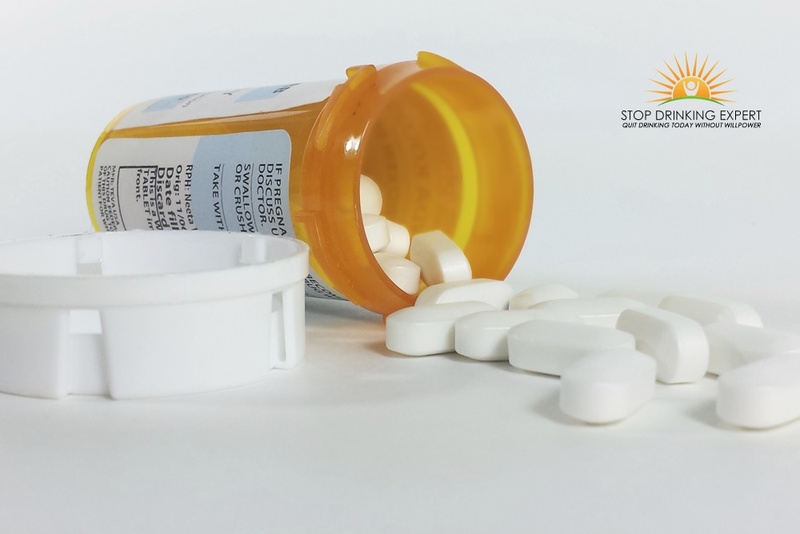 Simply put, take Naltrexone before you consume alcohol and you will not get the same pleasure you once did from drinking, Drinking without the pleasure. Ivan Pavlov’s study in the 1890s discovered that when dogs connected external stimuli with being fed, they started to drool even before they were fed. Simply put, seeing or hearing anything or activity connected with being fed would lead them to expect being fed and induce their mouths to water. The Sinclair Method is based upon a modification of Pavlovian conditioning named as “extinction” or, more precisely, “medicinal extinction.” It’s Pavlov’s dogs, backward. Gradually, equally, as the alcoholic has become accustomed to require alcohol both when they are not drinking and when they are, absent this exhilaration, due to taking Naltrexone, the reverse apparently occurs. The Sinclair Method drinker ends up being trained to no longer infatuate and yearn for booze because their neurochemistry no longer gets the fantastic ecstatic perk. 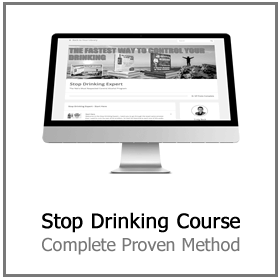 The Sinclair Method makes a proposal that provided that an individual takes Naltrexone, in time the alcoholic’s dependency will subside and ultimately burn up to the point where they no longer consume alcohol on a harmful level or even consume alcohol whatsoever. This approach is plainly based on the presumption that alcohol addiction is simply a condition of the physical kind and for that reason, it may be repaired by transforming addictive brain chemical makeup. We will expound upon why this is inaccurate later, nevertheless, in the meantime, we will just suppose that this basis is, actually, legitimate so that we can explain a few of the more visible problems with this solution that present even though it rests upon solid beliefs (which, again, it does not). So, supposing that this works in real life as theoretically, what makes this strategy unwise? For starters, why would anybody believe that an alcoholic, who is hooked to the sensation they are provided by drinking, would have the ability to constantly take medicine that stops this sensation? Simply put, why would an alcoholic adhere to the appropriate medication routine demanded of the Sinclair Method? That was an easy decision! But let’s carry on down this course and just presume that, astonishingly, an individual who has given up all power, preference, and authority over alcohol consumption can easily compel themselves to routinely take medicine that decreases one’s enjoyment of the alcohol consumption adventure. Can we additionally reasonably count on such an individual to consistently take the medicine as directed? Most likely not, and this is a lot more troublesome due to a well-documented trend that happens inside the brain when there is a sizable presence of opioid antagonists present called “up-regulation.”. “Up-regulation” is the mind’s organic reaction to being swamped with opioid antagonists like Naltrexone. Essentially, the brain in an effort to preserve normality detects that in the exposure of the opioid antagonists it has a decreased capability to experience enjoyment and tries to neutralize this by raising the amount of available opioid receptors. In the exposure of Naltrexone, this is not an issue. Nevertheless, if the alcoholic trying the Sinclair Method misses out on even one dosage of the medicine and after that drinks, they will be doing this with a mind now hyper-sensitive to the enjoyable consequences of drinking. There will be more significant motivation to not only keep drinking alcohol, but to do away with the Sinclair method completely because not only will the brain be reminded of the enjoyable consequences of alcohol sans Naltrexone, but it will, actually, experience a more rigorous “high”, if you will, than it even recognized before. Proof of this has in truth been noted in those using the Sinclair Method; that typically a skipped dosage results in an extremely rigorous binge alcohol consumption session or sessions consequently. As a matter of fact, the finest advocates of the Sinclair Method also warn against ever skipping a dose. To ask an alcoholic to not just decrease their booze high but also to do it each and every single time they consume alcohol without fail, ever? However, the biggest problem I have always had with drugs as a solution to alcohol problems is they only treat the symptoms. Most of the time people become problem drinkers because they are trying to escape reality or avoid pain. If you are drinking because you are lonely or in a bad relationship and you are using alcohol to help with that, then it’s entirely logical to see that you see alcohol as a benefit. 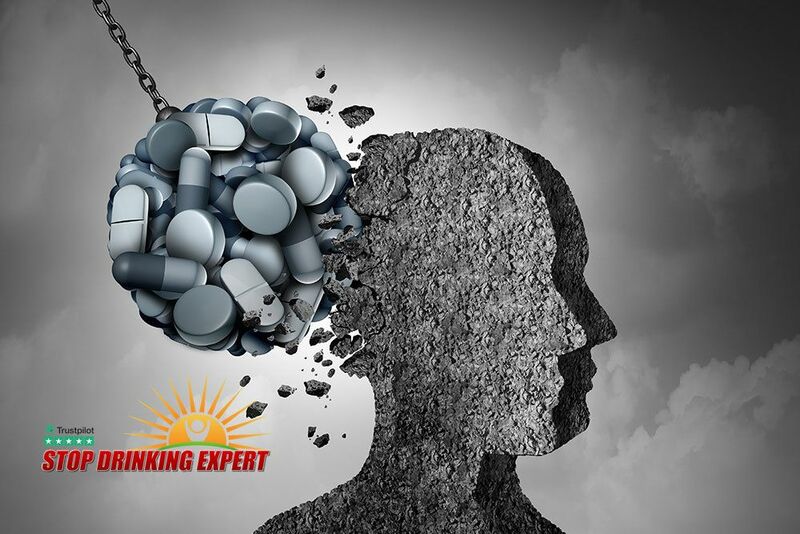 If you use a drug to stop you drinking the underlying belief that alcohol was a benefit remains, you will always feel like you have the same problems but without the old solution. I still don’t see The Sinclair Method and Naltrexone as a cure for problem drinking. However, where my stance has weakened is I can see how it could be one of the tools in the box. 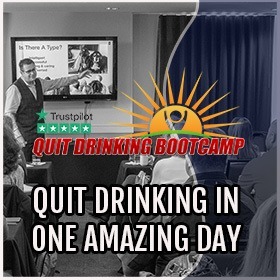 If you are using an intelligent approach like my how to stop drinking online course or my live seminar Quit Drinking Bootcamp to address the underlying ‘real’ issues. Then perhaps taking Naltrexone to get you through the first few weeks of ‘the kick’ from alcohol may help some people. However, I still won’t be recommending it for my members. You have to get the dosage and the routine so perfect that there is no room for mistakes. One slip up and you can do huge damage to the whole process. 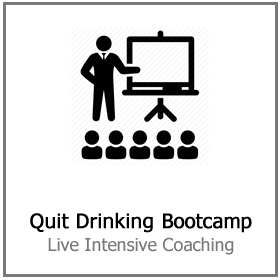 In summary, if you come to a Quit Drinking Bootcamp and tell me that you are going to use Naltrexone I will understand and see what you are trying to do. I won’t try and change your mind but I won’t give you the nod of approval either. Ready to deal with the problem and not just the symptoms? 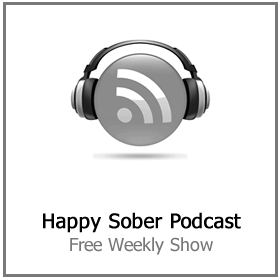 Over 100,000 people have discovered their own happy sober life with my help. My approach works so well because I don’t treat you like you are broken or weak-willed and I will never give you any silly labels. Want to find out more? 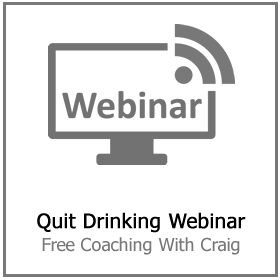 Click here to join me for a free quit drinking webinar later today.